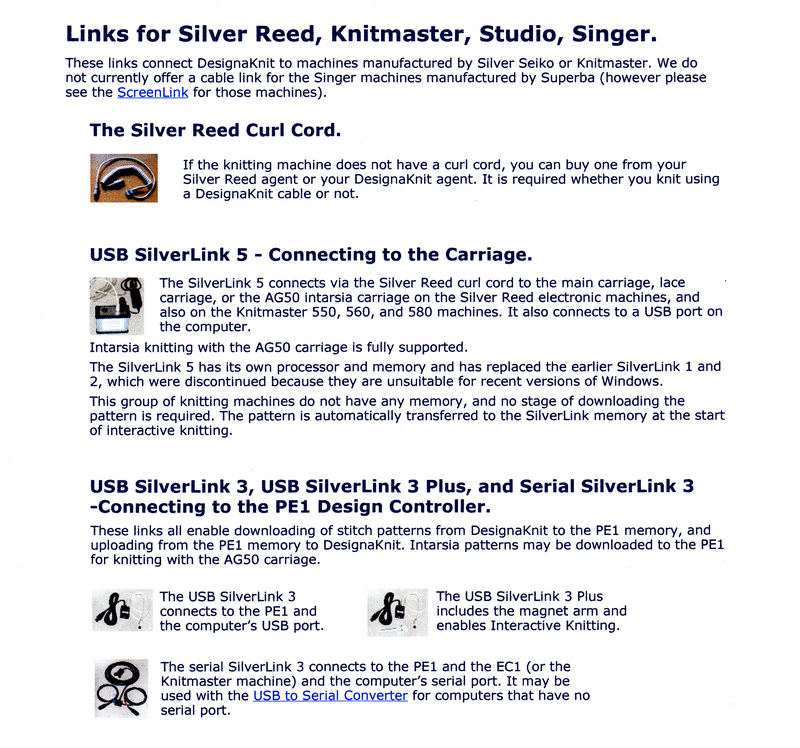 Additional information on the various cables/links for Brother knitting machines. 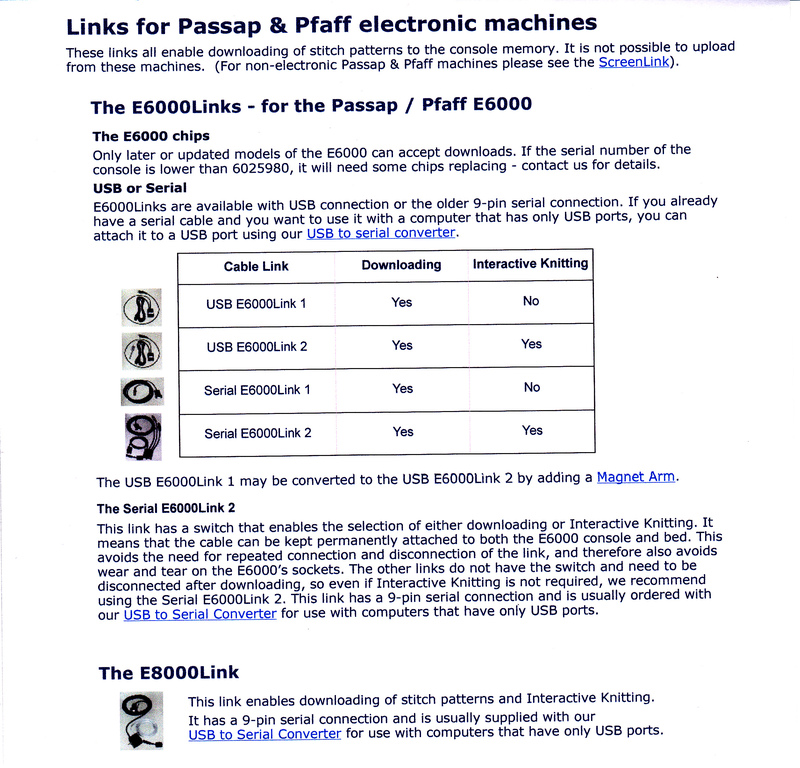 Additional information on the cables/links for Passap E6000 machines. Prices of all levels of DesignaKnit8 the supporting cables and accessories. Prices for FittinglySew2 and upgrades. 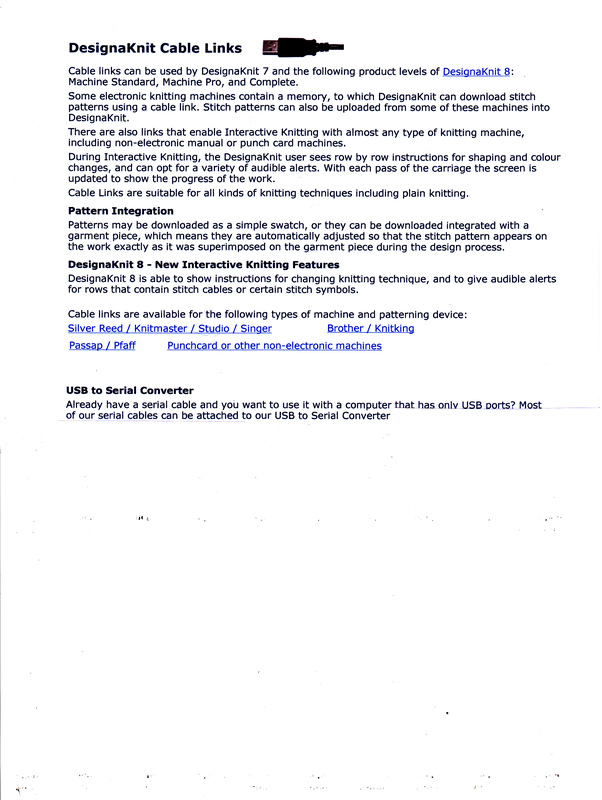 Additional information on the Lace Tool add-on program for Silver Reed, Brother and Toyota knitting machines. 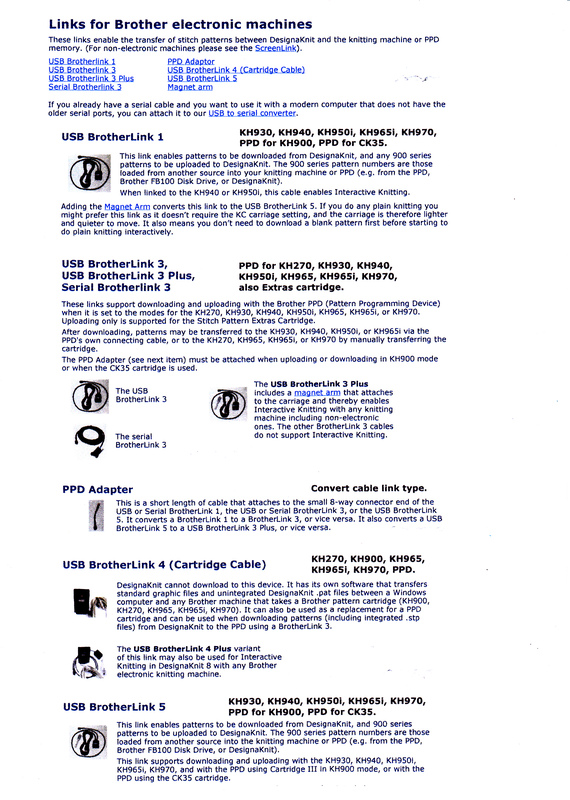 Additional information on the various cable links available for DK7 and DK8. 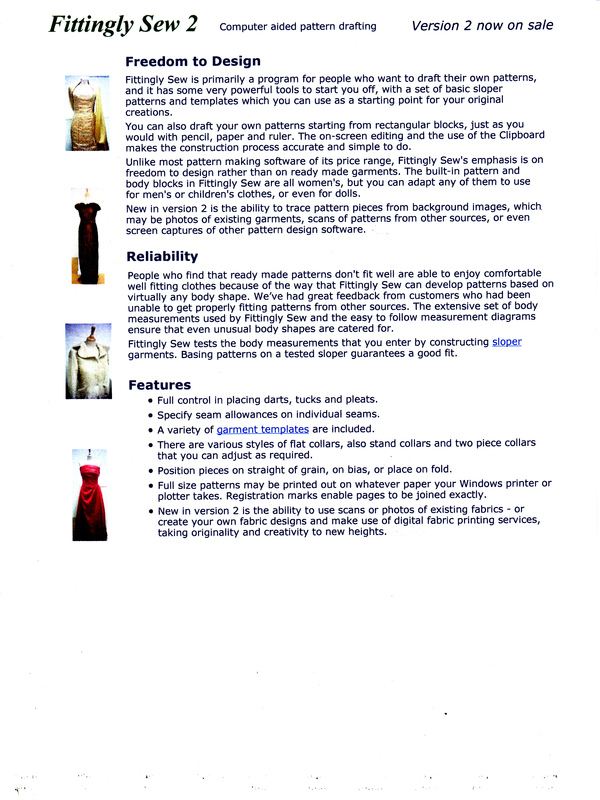 Additional information on the four different levels of DesignaKnit software. LAMPSHADES The lamp shades pictured were made by me for my own home. 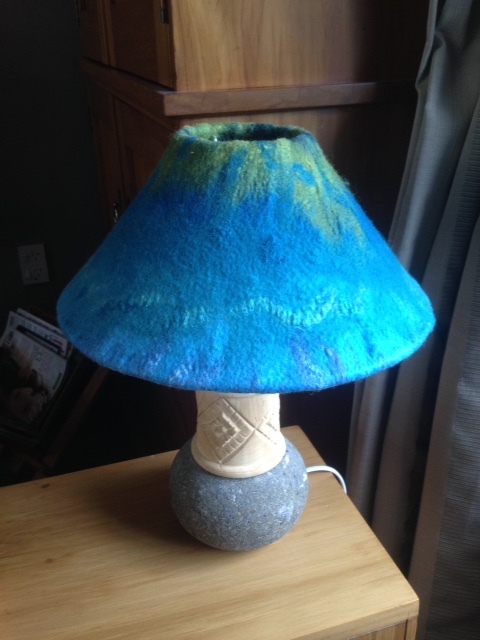 Merino and silk fibres (slivers) were felted to produce the fabric which was then cut, shaped and fitted to purchased shade skeletons. 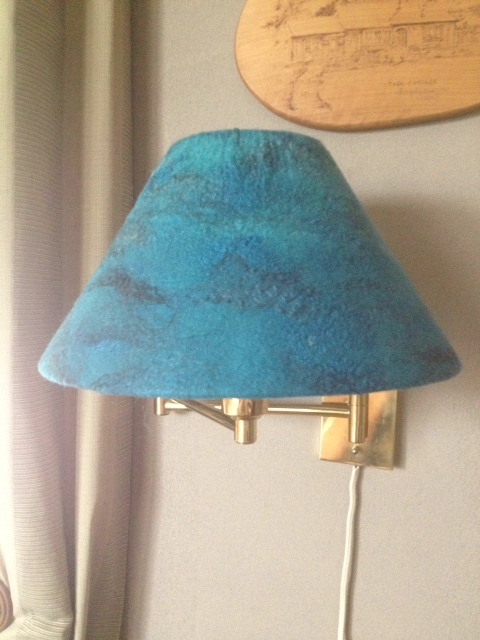 These shades have been greatly admired by friends and family which lead me to show them here on my website. 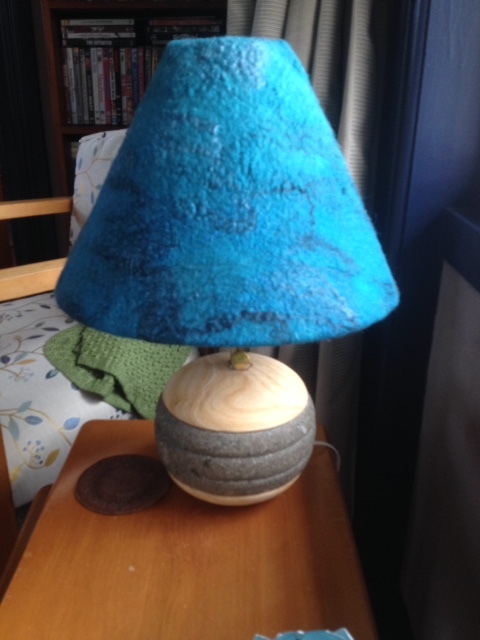 They are NOT for sale but I would consider 'custom making' after a consultation process is undertaken. There are two separate sections to my workplace. One is the knitting room where I have a Brother 930 machine and a Passap E6000 machine; both have motors which assist greatly when knitting large items such as the blankets and throws. The second area is the studio where blocking and steaming of knitted pieces takes place. There is also a fine gauge knitting machine in this area. The studio also houses my sewing machines and all of the paraphernalia associated with dressmaking and felting. Additional information on the content of DesignaKnit programs.